I'm going to do something about the children I saw under the bridge at Obalende. I don't know specifically what I'm going to do, when I'm going to do it, or how I'm going to do it, but I'm going to do something. We'll take it one child at a time. God willing, we'll help as many as we can. Anyway for now there's something going down. Style Night 4. We've done three editions but nothing as huge as what we are about to do. So people, our fashion show is going downnnnnnnnnn...I'm so thrilled, 'cos getting sponsors for a fashion show in Nigeria is WAR. Real WAR. But we finally did it. Lagoon Restaurant, Ozumba Mbadiwe Str., Victoria Island. I told him about the show and he said he would give me DJ support. Ain't that grand? Who gets that lucky? Thanks JJ. We'll also have comedians, musicians and some dance groups entertaining the guests. We're also inviting a lot of special guests. Now here's the deal. 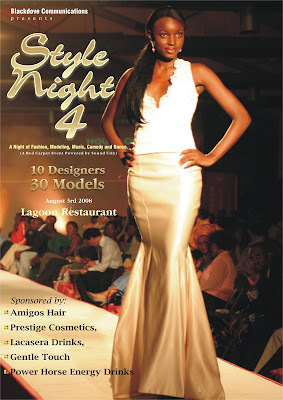 The hall we are using is quite big (same venue for Stars on the Runway) and Lagoon Restaurant is soooo expensive. So we want to utilise the hall and make a little money on the side... you know...wink! We give you space to display your goods/services. You can distribute cards, handbills and also have direct contact with potential clients/customers. If you want your company logo on the red carpet banner, you pay a bigger token sum. If you're interested, or know someone who might be interested, call Santiago on 08035144050. Or Elle on 016635848. And if you're press and would like to cover the event, just call 016635848, so we can get your press tags ready. Stay tuned and get ready people. We are about to rock Lagos! When I decided to start a magazine, I felt it was important to stick to the industry I was familiar with; the fashion, modeling and beauty industry, thus the name FM&B. But as time went by, I realised there was more to life than fashion and Style. Much more! So I decided to include human interest stories to give the mag more depth. Looking for more depth, I came up with something that has always held a fascination for me...STREETLIFE. And for our maiden Streetlife page, I decided to deal with the issue of area boys in Lagos. See, I've had a few unpleasant encounters with area boys. I've been harrassed a few times by these guys while driving in the Lagos Metropolitan. If your window is down and you're in traffic, you're bound to get 'nicely' and 'politely' robbed. I used to be so scared of them but after a few encounters, my fear turned to curiosity. Why are these guys this way? What happpened to them? Can they be rehabilitated? The picture above is the Obalende bridge. If you live in Lagos, then I don't need to tell you anymore about the place. If you don't live in Nigeria, well, this is one of the most notorious places in Lagos. When you're walking around here, you're advised to hold tightly to your belongings. If your car stops there at night, you're advised to leave the car and find your way out of there. It's that notorious 'cos it's the home of several 'hooligans'. They live under the bridge pictured above. When we went there the first time to survey and make enquiries, I was advised not to go. Somebody told me that the guys were always 'high', and very unpredictable, so couldn't guarantee my safety. But I insisted on going with my guys, so instead of going there looking all pretty, I took my hair weave out, no make up, wore an oversized shirt and went into the lion's den with my General Editor, Odega Shawa, my Special Events Editor, Oteri Agboro and a photographer. Now we actually went there to interview the area boys. We wanted to hear their story. We wanted to know about their family, what they want from the govt, what they can do for their country, are they as dangerous as people say/feel they are? Why are they living under the bridge, are they interested in decent jobs...? etc. Thankfully for us, they were very accomodating. They answered all our questions but refused to have their pictures taken. Some of them were a little suspicious of our motives and they also were 'smoking' you know what...and didn't want to be exposed that way. 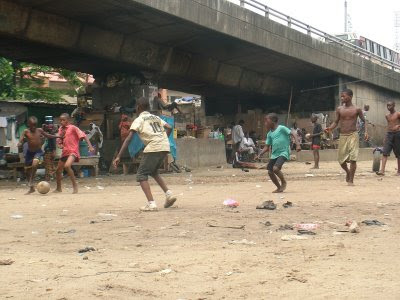 Anyway, as we were interviewing these area boys I noticed little children playing football in the open field under the bridge...(the boys you see in this picture). In my head I wondered what these kids were doing in such a place, surrounded by such craziness. After asking around I found that they all lived under the bridge. Some of them are runaways, some are abandoned, some live there with a parent. Different stories. Sad situation! The kids are pictured here with their football coach and asst coach. Every child you see in this picture lives under the Obalende bridge. But the comforting part is that the members of the National Union of Road Transport Workers, Obalende branch, are playing their part by trying to discover talent amongst these children (through football). 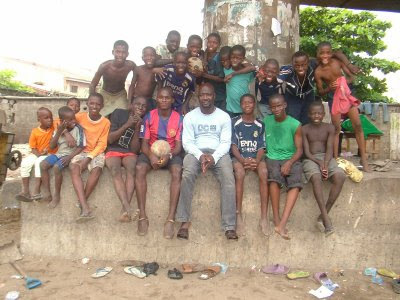 They brought these children together and started a football academy, under the bridge. Hoping it will keep them busy and focused on the positive, so they don't end up like the older ones they are surrounded by, considering they have no education whatsoever. These children are so young and innocent and exposed to a life so unfair. I was under the bridge for about three hours and I left there feeling dizzy and 'high' from all the 'smoke' inhalation. And these children have to live with this for a long time until something can be done for them. Talking to them I found that some of them were actually ambitious and didn't want to end up armed robbers, jailed, or even killed. One particular child told me he wanted to be a lawyer. You will get the full story when the magazine hit the stands. I left the place feeling a little dejected. These children deserve a better life. Then I asked myself, is it enough to just report these stories? What can I do as a citizen of this country for these children? What can you do? Or maybe a better question is; what can be done for these children? 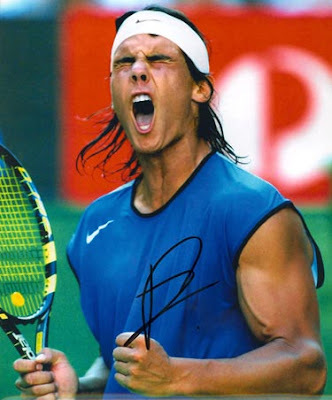 Rafael Nadal finally won Wimbledon beating 5 times champion, Roger Federer, in what can be described as one of the best final competitions ever played. I was so happy when he won 'cos he's been trying to win this competition for the past 4 years...but Federer just wouldn't give him a chance. But he finally did it tonight, July 6th 2008. 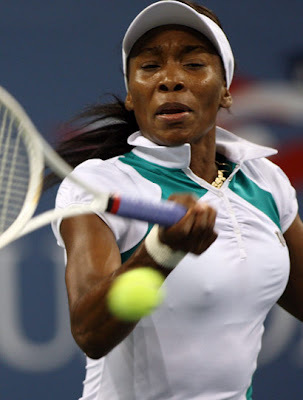 And I'm sure y'all know that Venus beat her younger sister, Serena Williams yesterday in the women's final. Congrats to VENUS and NADAL!! !